Contact the Grand Lodge of Pennsylvania, I.O.O.F. An Odd Fellow lodge is a good place to be. Meeting good people, making new friends, enjoying the pleasures of new experiences. It's where the action is in most communities. Sports, socials, dances, and parties are all part of the active life of Odd Fellows today. 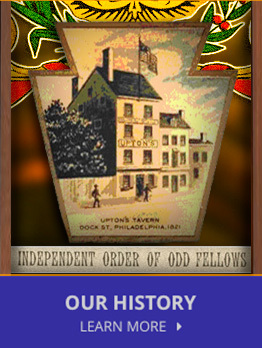 The Grand Lodge of Pennsylvania, Independent Order of Odd Fellows.